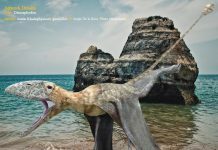 Alanqa is a pterosaur which lived approximately 95 million years ago during the Middle Cretaceous Period. It was first discovered by paleontologists in the winter of 2008 near Bega, Africa. It was then given its name in 2010. The name Alanqa means “phoenix” in Arabic. 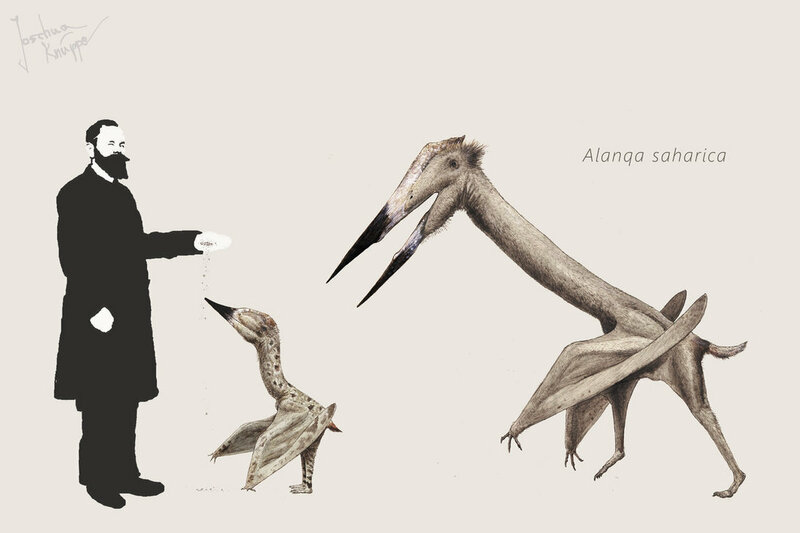 Alanqa pictures clearly show that this animal looked very much like other pterosaurs of its time. After all, it was a flying reptile which had a wingspan of about 20 feet and weighed around 200 pounds. 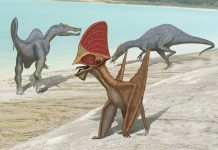 However, paleontologists believe that this pterosaur was a bit different than others it had found. 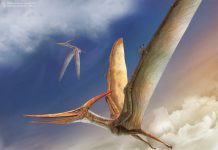 Paleontologists believe it is one of the first of the large-sized azhdarchid – flying reptiles which terrorized many of the small mammals of the Late Cretaceous Period. 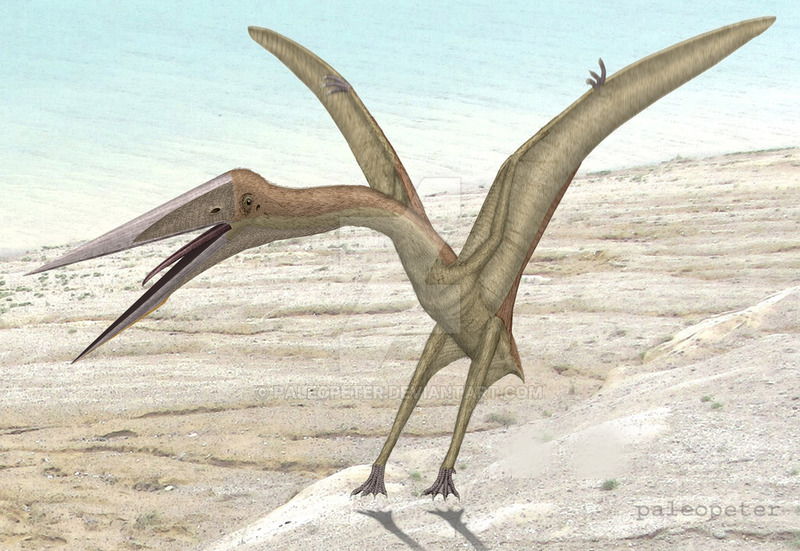 Azhdarchid would eventually reach the size of Quetzalcoatlus – a giant pterosaur which had a wingspan of over 30 feet! 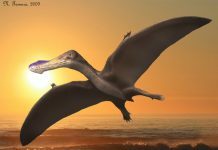 However, one of the most interesting facts about Alanqa wasn’t its position as the first azhdarchid or its large size, but instead the fact that many paleontologists aren’t even sure if it was capable of flight. 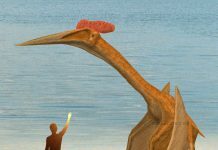 Despite its wings, some paleontologists think that this animal couldn’t fly and merely hunted the ancient swamps of Africa like a therapod would. 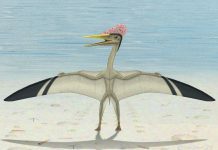 However, other paleontologists disagree and believe this animal hunted very much like a stork does today. Unfortunately, there just isn’t enough data available to determine who is right. Africa didn’t exactly offer the best conditions for the preservation of pterosaur bones. 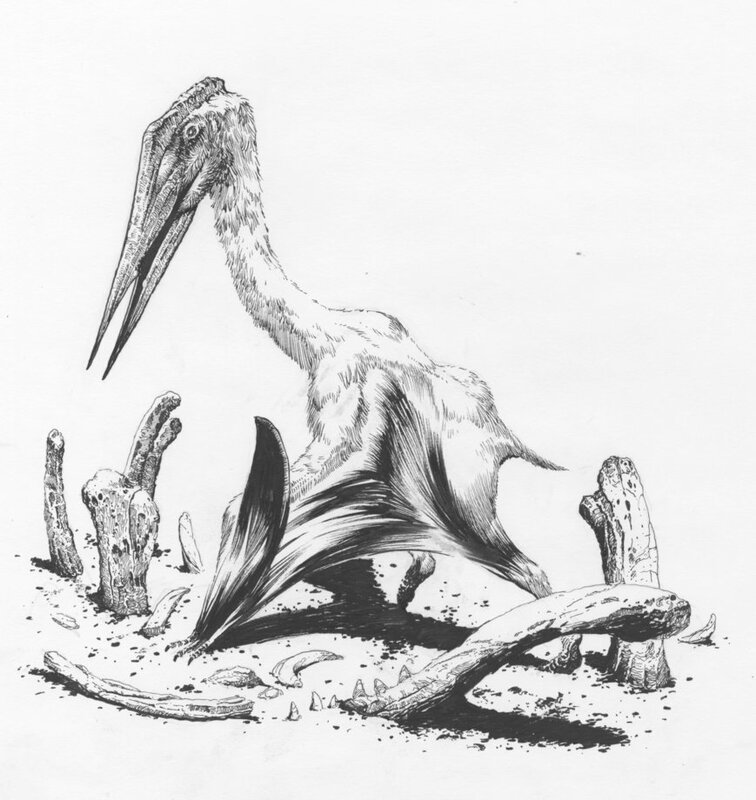 And even when the pterosaurs bones fossilized, they were often crushed by the process. As a result, paleontologists have very few specimens to work from. If Alanqa was indeed grounded, then it would have hunted small dinosaurs and any mammals it would have come across. If it could fly, it probably lived off of fish or scavenged carrion.